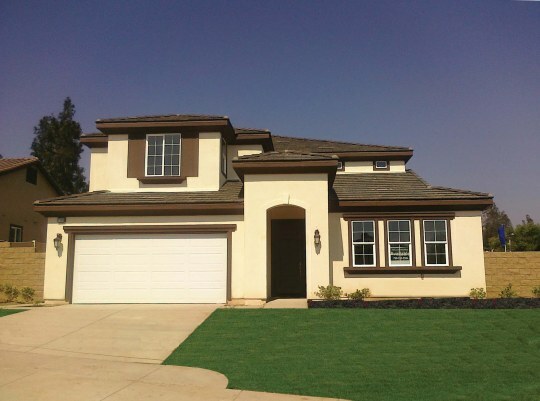 Williams Homes has earned an indisputable reputation for seeking out and developing premier new homes in Southern and Central California. Enjoy a small portfolio sampling of our new home communities in Southern California that have recently been built and sold. Agave was the fastest selling new home neighborhood in the San Fernando Valley when it was in development. It’s an intimate, distinctive and charming community of 59 detached homes in Winnetka. Features include three distinct floor plans from 1,675 to 2,120 square feet, a swimming pool, spa, BBQ area and children’s playground. 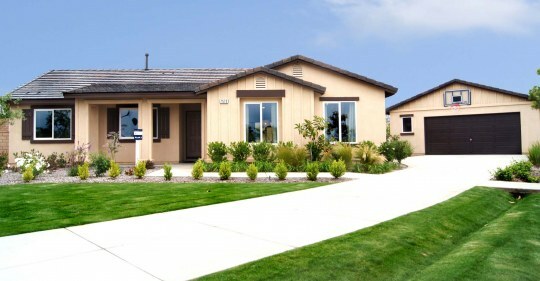 New homes in Paso Robles, CA, at Arbor Ridge showcase easy living in 1,500 approximate square feet, 3 bedrooms, 2.5 baths, and a 2-car garage. Functional kitchens with stainless steel appliances and elegant finishes throughout. 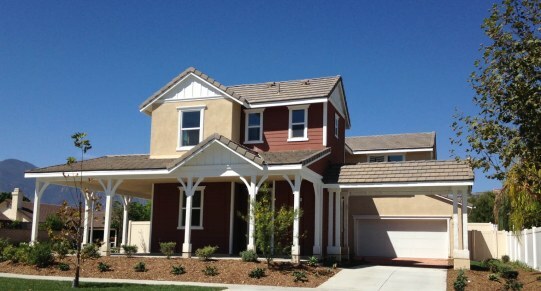 Residents enjoy a quiet Paso Robles setting near shopping, dining and schools. 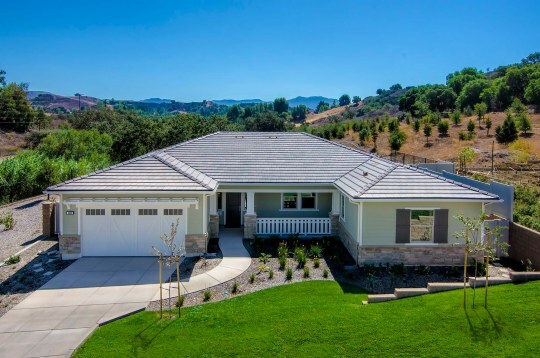 Local wineries, breweries, golf courses, hiking trails, and more enhance life in the Central Coast making Arbor Ridge ideal for everyday living or your very own get-away destination. 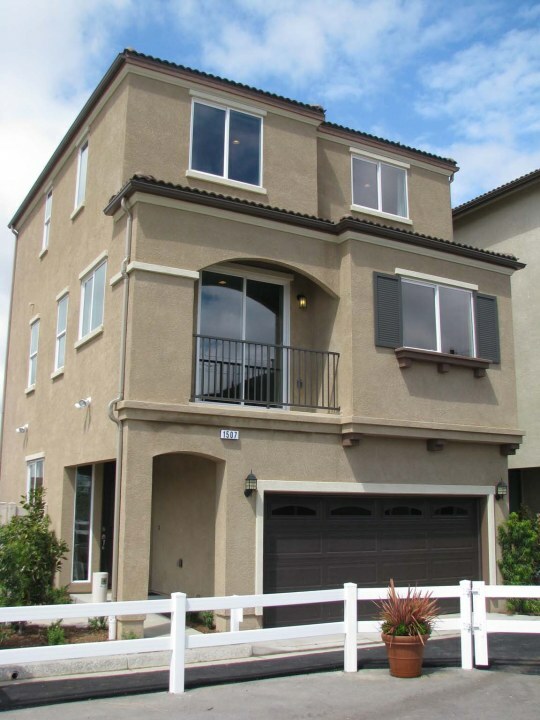 The Falcon Heights community is just east of California’s famed Highway 1. Residences are all single-story homes ranging from approximately 2,779 square feet to 3,494 square feet and are on large lots ranging from approximately 10,000 square feet to over an acre. There are incredible views overlooking the 5,000 acre Burton Mesa Ecological Reserve. The community is located near the Village Golf and Country Club. Clean. Simple. Relaxed. That is the hallmark of Falcon Ridge where country meets convenience. 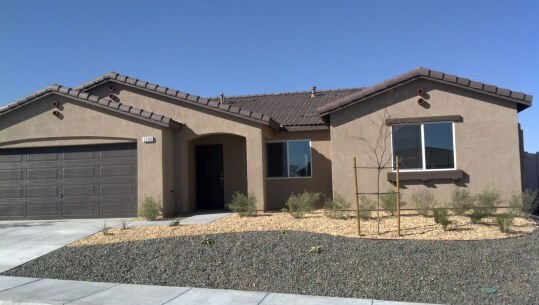 If you can imagine living among peaceful surroundings while maintaining commuter friendliness, and doing so affordably in your very own stylish single-family residence, these beautiful new homes in San Bernardino County are for you. The Falcon Ridge community has homes for sale with four floor plans to choose from featuring three to five bedrooms, family-friendly designs with large kitchens and gracious gathering spaces in 1,465 to 2,479 approximate square feet. Life is bright at Harvest Glen. We’re delighted that all of our new homeowners are settled-in and enjoying life in beautiful Sant Maria. 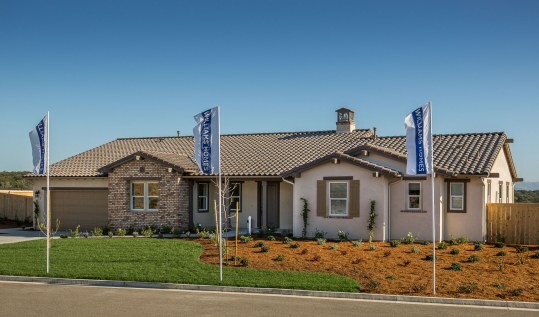 With an array of four spacious floor plans to choose from, the brand new homes in Santa Maria, CA at Harvest Glen were built with today’s lifestyles in mind. Homes range from 3 bedrooms to 5 bedrooms in 1,623 to 2,639 approximate square feet. The architecture is distinctive both inside and out, and each home is fully appointed with designer finishes that reflect the life. We’ve designed these incredible and fully-appointed new homes to fit seamlessly with your busy life in a location that’s close to all your favorite destinations. You’ll love living in such a welcoming city as Baldwin Park. Indigo was created to make the most of this thriving city with modern construction and timeless luxury. 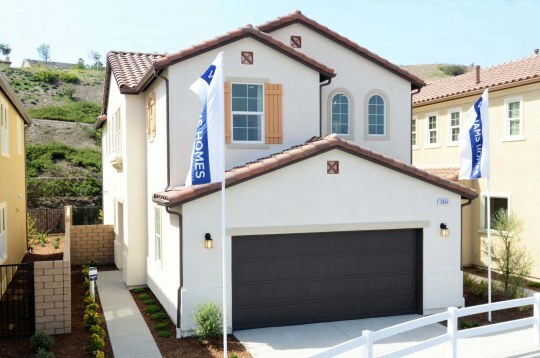 Situated behind a gated entry, Indigo’s homes in Baldwin Park offer spacious living between 1,838 and 2,439 square feet, with three and four bedrooms and up to 4.5 baths. 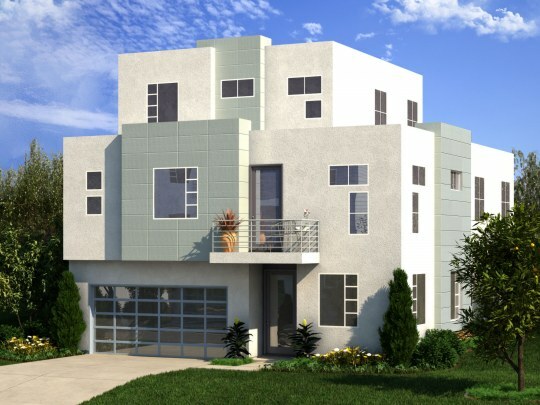 Two- and three-story contemporary floor plans include attached garages, private decks and yard areas, designer finishes and fixtures, and modern stainless steel appliances. 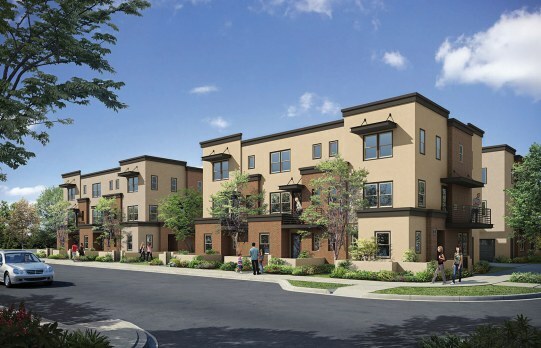 Indigo offers a beautiful place to call home that celebrates the San Gabriel Valley lifestyle like no other. 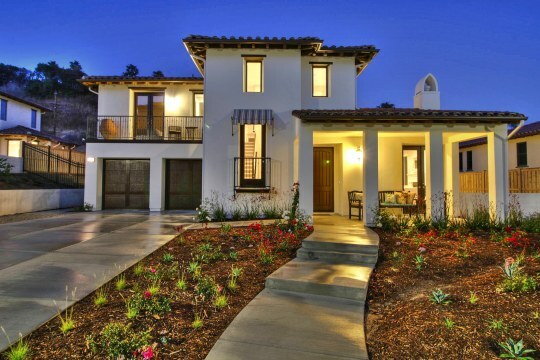 La Barranca is nine semi-custom homes ranging from 3,061 to 3,586 approximate square feet. It’s Ventura’s new prestige address where you are sure to find your own personal corner of the world. Each home boasts exceptional designer appointments throughout. Four bedrooms, 3.5 to 4.5 baths, generous great rooms, gourmet kitchens, office/study, lofts and loggias, covered porches & decks...And if that’s not enough, some homesites are elevated with countryside, city light and ocean views. An exclusive community of 18 luxurious estate homes set behind a private gated entry, Lone Hill features nine exterior elevations. 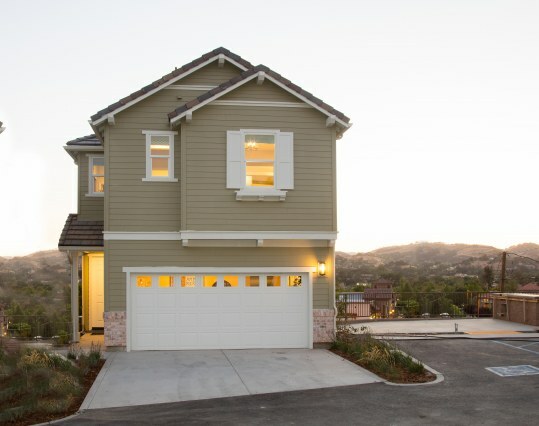 Its unique cul-de-sac streetscape gives homesites commanding views of San Dimas and the San Gabriel mountains. These Los Angeles County homes feature authentic designs are inspired by Spanish Colonial, Traditional and Craftsman style architecture and carried through to all sides of the home. Lone Hill features distinctive exteriors with brick, stone and wood veneers and are architecturally color coordinated, energy efficient and fire retardant concrete tile roof. 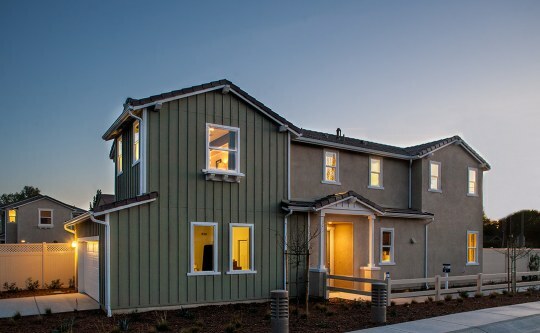 ​Located blocks from historic downtown Fillmore in the Heart of the Heritage Valley, these homes convey a small-town sensibility, but include modern features everyone appreciates. Floor plans include an impressive entry statement with hand-set ceramic tile flooring, distinctive, decorator-style passage doors and an inviting great room ideal for relaxing and entertaining. There are thoughtfully detailed master suites with low maintenance cultured marble countertops and dual basins in bathrooms. All this and more, and it’s only a 20 minute drive to Santa Clarita to the east, or the Pacific Ocean to the west. 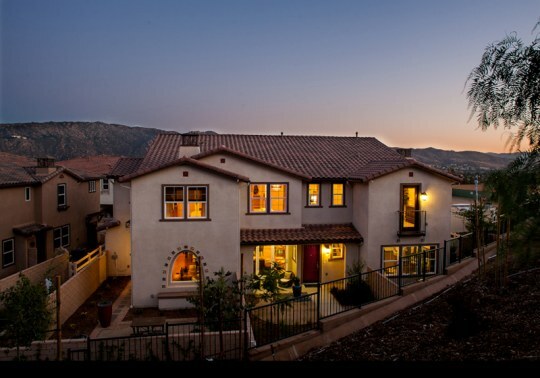 Comprised of 17 gorgeous homes in Stevenson Ranch these residences range in size from approximately 4,000 square feet to 4,700 square feet with many having premier views of the entire Santa Clarita Valley. Several homes have courtyards and accordion-style doors that open-up an entire wall to an outdoor patio. These executive homes are terrific for entertaining, raising a family and enjoying a relaxed Southern California life-style. 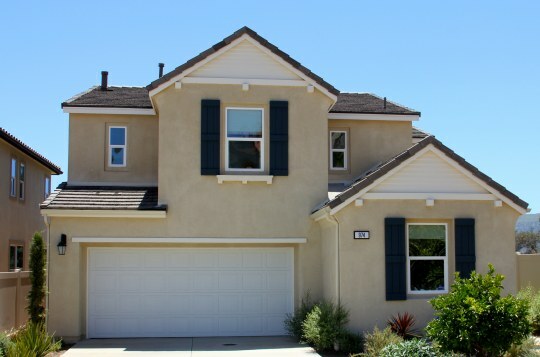 ​Meet the gated neighborhood of Olive Glen set in a location you’ll love. Here, two- and three-story detached homes offer classic design with planning that is smart and new. Each home includes the pleasure of expanded living areas with bonus rooms, great rooms and lofts per plan. Design highlights feature granite kitchen countertops, stainless steel appliances, and convenient interior laundry rooms. 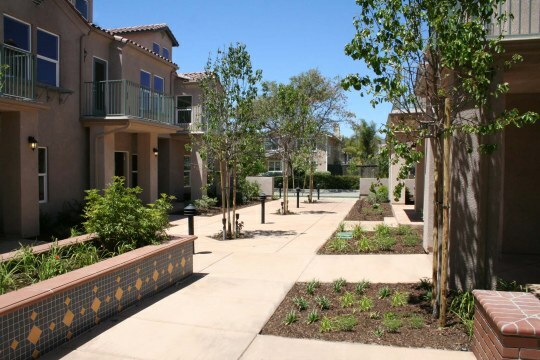 Olive Glen’s loop street orientation and neighborhood park provide a sense of privacy, familiarity and peace of mind. A limited collection of nine ultra-modern homes situated in Highland Park, Park 9 appeals to the expectations of buyers who prefer the benefits of urban living. 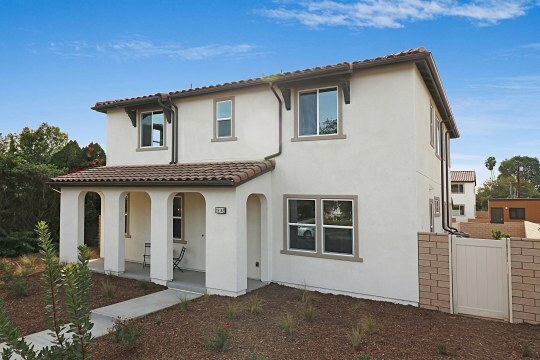 Minutes to Old Town Pasadena, this intimate enclave showcases 3 two and three-story floor plans that range from 2,478 to 2,550 approximate square feet. 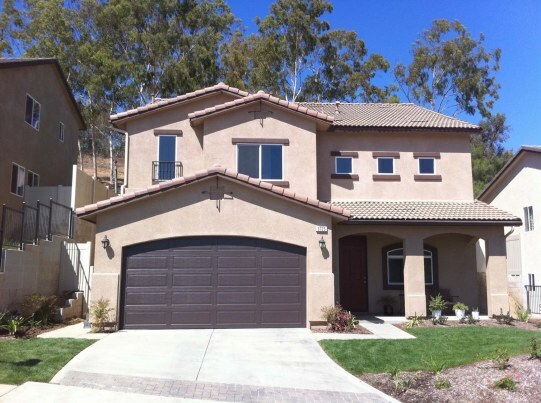 The homes include 3 and 4 bedrooms, up to 3.5 bathrooms, and 2-car attached garages. Architectural highlights include great rooms, dens, lofts, and decks. 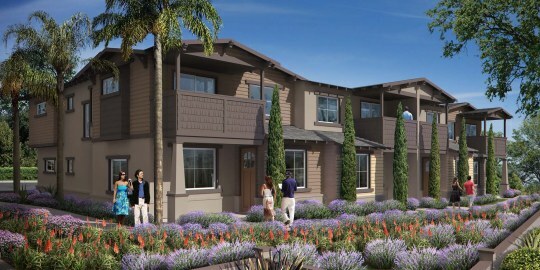 ​Parkland Cottages is a community of 21 single-story homes in a gated community in Santa Maria. Residence 1 is a cozy 2-bedroom, 2.5 bath with a bungalow feel that features a covered porch and nook off the kitchen that can be used as a workstation. Residence 2 features 2 bedrooms, a 2-car garage, and plenty of additional space. The Parkland Cottages are ideally situated close to Walker Park, the Santa Maria County Club, Santa Maria Valley Railroad Trail and beach is just a half hour away. 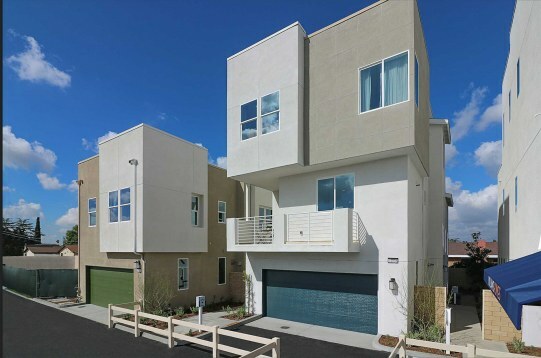 Phantom Trail is twenty-nine new homes ranging from 3,080 to 4,225 approximate square feet. Homes feature 4 to 5 bedrooms and beautifully appointed kitchens and baths as well as an outdoor room connected by a wall of bi-fold doors. Many homes have spectacular views of the surrounding mountains. 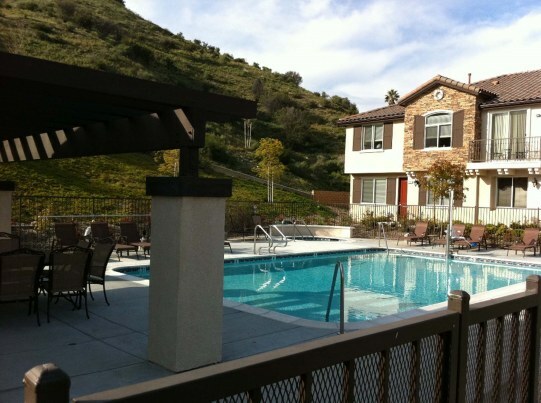 The community is ideally located in the on the northeast side of the Santa Clarita, close to the Haskell Open Space and great local parks like Copper Hill Park, Bouquet Canyon Park, Pacific Crest Park, and Mountain View Park. The community is less than ten miles away from Six Flags Magic Mountain and only forty-one miles from Downtown Los Angeles. 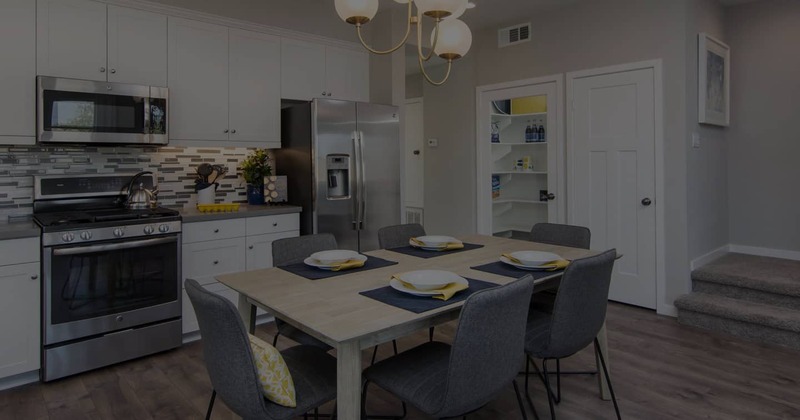 ​Reseda Ranch is an intimate enclave of 14 residences designed for easy living where you can experience a fresh approach to modern living and style. 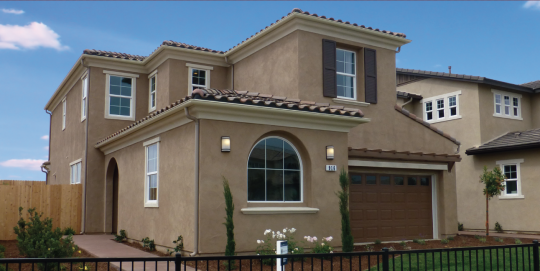 Our Reseda homes allow you to enjoy hand-selected, designer finishes throughout a well-designed, versatile floor plan. 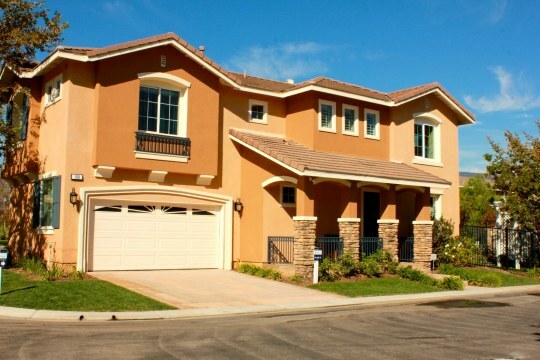 These homes also offer large lots, 3-car detached garages and No HOA! Discover great dining, shopping and entertainment at Northridge Fashion Center, Westfield Topanga, Sky Zone Trampoline Park, Sky High Sports, and the endless recreation of Lake Balboa which is also close-by. 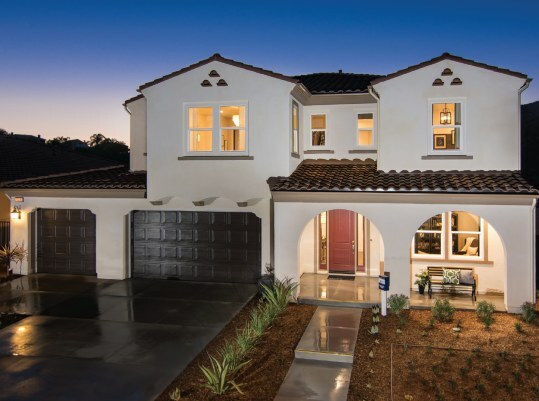 ​Ridgeview’s hilltop location in Santa Paula overlooking Heritage Valley presents a rare opportunity for residents to enjoy life in one of California’s premiere coastal valleys. 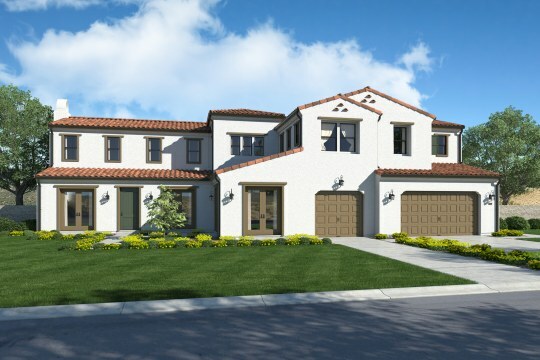 One and two-story single-family homes feature up to four bedrooms, including two plans with main floor master bedroom suites. Interior living ranges from approximately 1,609 to 2,253 square feet and includes a long list of sought-after amenities. Room options per plan may include a loft, den, or home office. 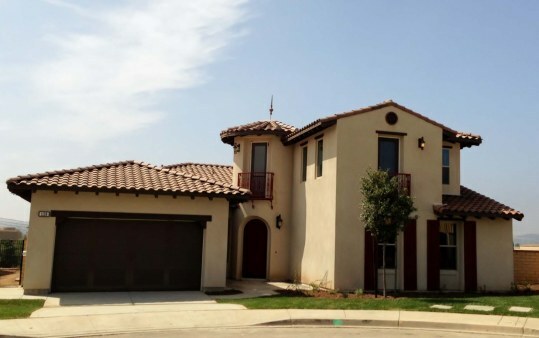 Close to some of Southern California’s most popular destinations, Rosa de Castilla is one of the more popular Los Angeles county communities which sold out in early 2011. Two- and three-story detached home designs feature large family rooms, open kitchens and space-expanding bonus rooms that combine to offer families great flexibility. Many custom-quality features came standard including a suite of stainless steel appliances, illuminating recessed lighting and more. Prices for this neighborhood began from the high $400,000s. ​Two unique village neighborhoods make-up Solstice, a limited collection of luxury townhomes complimented by private, landscaped community recreation areas. Selling-out mid-2011, this popular Santa Clarita community features exteriors of Tuscan, Early Californian and Craftsman-style architecture with stucco and stone detail. Five, two-story floorplans provide home choices for a variety of tastes filled with the sought-after, brand-name features today’s homebuyers demand included in the purchase price – just as seen in the model homes. Prices for this neighborhood began from the mid $300,000s. 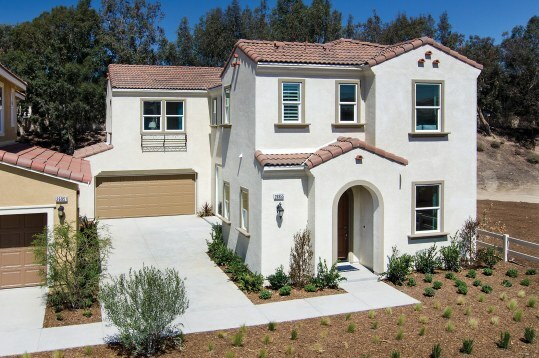 ​Terraces is Agoura Hills’ first new-home community in over a decade. The extraordinary single and two-story floor plans range from 2,363 to 3,872 square feet and offer up to 5 bedrooms and 4.5 baths. With the highest-caliber finishes and many customizable features, the level of luxury in these 24 executive residences is extremely rare. Trestles homeowners have discovered the lifestyle they’ve always wanted - complete with gated entry and resident-only recreation. We designed these incredible and fully appointed new homes to fit seamlessly with busy lives. Homeowners appreciate the versatile and spacious floor plans that are ideal for entertaining or just casually relaxing. The chef’s kitchens are gorgeous and full of designer finishes while the upscale master suite is the ideal place to wake up refreshed. Nearby are major employment centers, lots of outdoor recreation and great shopping and dining. No wonder Trestles captured the hearts of so many new home seekers! All 137 homes were sold in 94 weeks! This is not only a record for Williams Homes but it is record breaking for all of Southern California! ​Woodridge’s energy-efficient home design fuse modern interiors with bold open spaces, oversized windows and high ceilings. 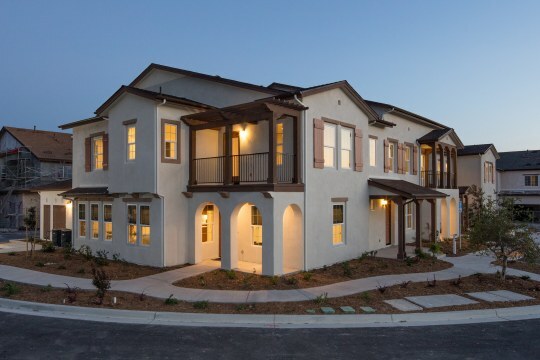 Our homes in Atascadero are in close proximity to downtown San Luis Obispo, making it an easy work commute or providing the simple pleasures of in-town shopping and dining. Plus, with 57 acres of rolling hills, walking trails and nearby Paloma Creek Park, there’s always an outdoor adventure waiting!